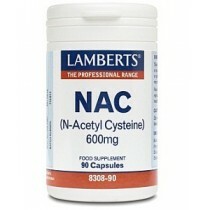 N-acetyl-cysteine has been used for a long time in the treatment of some health problems. It is highly effective for treating acetaminophen (Tylenol) poisoning or overdose. It has also been used for a long time in treating cystic fibrosis, as well as reducing mucus and aiding breathing in people with lung conditions. However, there are many other potential uses for this amino acid supplement. There has been some evidence that this supplement is effective treatment for some heart conditions and risk factors. It is helpful in the treatment of angina (chest pain) as well as lowering the risk of heart attack and stroke in kidney patients. The supplement is also likely to reduce levels of homocysteine, which is linked to heart disease and heart attack. It may also be used in other ways for lung disorders, such as preventing complications of chronic bronchitis and lung disease. There are several other uses for n-acetyl-cysteine as well. It can be used to reduce symptoms of the flu and can be used to treat some seizures. It can also be used to prevent kidney problems in some x-rays where dyes are used that can cause these problems. There are several other potential uses of this element. More research is necessary before the effectiveness of these uses can be determined. For example, amino acid supplement has been used in the prevention of colon cancer, with varying results. There is some evidence that when the supplement is given in an IV with other drugs it can help reduce damage in patients who have had or are having a heart attack. It may also be helpful in common every day ailments like hay fever and ear infections. It may also be helpful in decreasing liver damage in alcoholics. 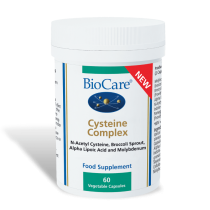 Overall, n-acetyl-cysteine is an antioxidant, so it boosts the immune system and protects against environmental pollutants.